To compare real-life performance when zoomed-out, I shot this scene with the Sony Alpha NEX-7, the Sony Alpha NEX-5N and the Canon EOS 60D within a few moments of each other using their best quality JPEG settings. The lenses on all three cameras were set to approximately the same field of view and all were set to Aperture Priority exposure mode. The ISO sensitivity was manually set to the lowest setting available – 100 ISO on each camera. The image above was taken with the Sony Alpha NEX-7. The lens was zoomed in slightly to 20mm (30mm equivalent). With an Aperture of f5.6 the camera metered an exposure of 1/800 at 100 ISO. The original image size was 10.69MB. The crops are taken from the areas marked with red rectangles and presented here at 100%. 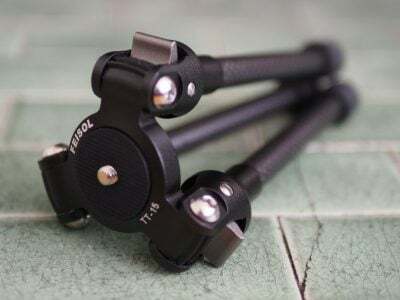 For this tripod mounted test stabilisation was disabled, DRO was left on the default Auto setting and lens correction was also left on the default – shading and chromatic aberration set to auto and distortion correction off. The big question of course is what affect does the higher pixel density of the NEX-7’s 24.3 Megapixel censor have on its image quality? The answer, as least from a casual glance through the crops below is that it’s less than you might have imagined. Starting with the top crop the detail is quite clear with the doors and windows in the chapel cleanly defined and no overt evidence of processing such as halos or smearing. There is some noise here though, visible as a slight texture in the sky. That texture is a little more apparent in the second crop, but overall the detail here is crisp, there’s a little bit of atmospheric haze but despite that lighthouse is clearly visible and you can see plenty of detail in the island. The buildings in the foreground of this crop are a little soft though. The third crop from the edge of the frame shows little evidence of lens problems, the detail is as good here as in the middle of the frame, but in this part of the scene which was in the shade the noise is more clearly evident.The final crop back in the centre of the frame displays mainly good sharp detail with some slight softness again in the window frams at the top. The NEX-5Ns 16.1 Megapixel sensor produces slightly smaller image detail which is also a tiny bit crisper and a little less noisy, but what’s interesting is the degree of difference – much less than you’d expect given that the NEX-7 packs an additional eight million pixels onto the same size sensor. In the first two crops the NEX-5N has slighlty cleaner detail and less noise, but you have to look closely to see it. It’s that third crop in the shade where the NEX-5N’s superior quality is most obvious – it’s much less noisy and the frame edges are a lot cleaner as a result. In the final crop the NEX-5N again has a slight edge over the softer detail from the NEX-7. The Canon EOS 60D is a mid-range DSLR with the same size APS-C sensor as the NEX models but with a resolution of 18 Megapixels. 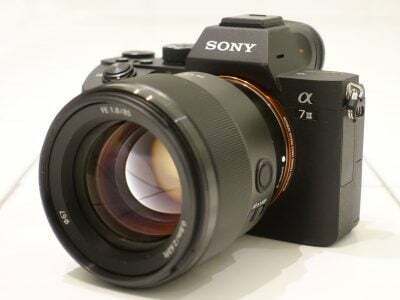 It’s a capable DSLR which is less expensive than the NEX-7, so makes for an interesting comparison. Can the NEX models match mid-range DSLRs like the 60D on quality, or do you pay a price for compactness? I tested the 60D with the 18-55mm f3.5-5.6 IS II kit lens – the equivalent of the Sony 18-55mm f3.5-5.6 OSS kit lens on the NEX models. On the 1.6 crop factor 60D the 35mm equivalent range is 29-88mm compared with 27-82mm on the 1.5 crop factor NEX models, so I zoomed both lenses in slightly to produce an equivalent field of view. The EOS 60D crops are closer to those from the NEX-5N than the NEX-7 both interns of size and quality. The 18 Megapixel sensor on the 60D produces slightly larger detail than the 16 Megapixel NEX-5N, much smaller than the 24 Megapixel NEX-7. The EOS 60D crops looks so similar to those from the 5N that any differences could easily be put down to processing, rather than a significant edge in either sensor or lens performance. The only exception is the third crop from the edge of the frame where the NEX-5N wins out with a crisper more clearly defined detail. The EOS 60D crops are generally a bit less noisy than those from the NEX-7 and the detail a little clearer. But the overall story here is that the NEX-7 image quality, though a little softer and a little noisier than both the NEX-5N and the Canon EOS 60D holds up well despite the increase in sensor resolution. Incidentally, in case you’re wondering just how much of an advantage in terms of print size a 24 Megapixel sensor gives you over a 16 Megapixel one, you can make a 20in x 13in (51 x 34cm) print at 300ppi compared with 16in x 11in (42 x 28cm). So unless you want to make bigger than A3 (roughly 16.5 x 11.5 inches or 420 x 297mm) prints it’s largely academic. Of course you’re not obliged to accept the NEX-7’s in-camera JPEG processing and many owners will be keen to see if they squeeze even better quality from the images by shooting RAW. Check out the NEX-7 RAW vs JPEG results on the next page or see how these models compare at higher sensitivities in the NEX-7 Noise results. To compare real-life performance between RAW and JPEG files on the Sony NEX-7, I shot this scene in the camera’s RAW+JPEG mode. The sensitivity was set to the minimum 100 ISO and the aperture to f5.6. The JPEG was processed using the in-camera defaults, while the RAW file was processed using Sony’s Image Data Converter application for processing raw images. The first issue I had with processing these files was that the software supplied with the camera – Image Data Converter SR 3.2 wouldn’t process RAW files from the NEX-7, producing an error message at every attempt. I hade more luck with version 4.0 which I downloaded from the Sony website. At first glance you’d be forgiven for being a little disappointed at the RAW results form NEX-7. The top row shows much crisper detail from the in-camera JPEG than the crop from the RAW file processed with Image Data Converter using the default settings. And in fact all four crops from the RAW file look softer than the in-camera JPEG, but depite the enhanced sharpness and edge contrast in the JPEG crops they don’t look any noisier. In fact it isn’t too difficult to match the in-camera results by tweaking the settings – reducing the noise reduction and increasing sharpness. This comparison illustrates what an excellent job Sony has made of the in-camera processing of sensor data in the NEX-7, managing to produce consumer-friendly crisp and detailed images whilst at the same time keeping low ISO noise at an acceptable level. The downside to that is you may not be able to improve greatly on these result by shooting RAW and processing the files yourself. Of course there are plenty of other reasons to shoot RAW including the ability to adjust exposure, increase dynamic range and change white balance. Now let’s see how they compare at higher sensitivities in my NEX-7 noise results. The Alpha NEX-7 inherits the Handheld Twilight mode from recent Sony cameras. This fires-off six frames in quick succession and stacks them into a single image in an attempt to lower noise levels. On this page I’ve put the NEX-7’s Handheld Twilight mode to the test. This automatically selects the sensitivity so I’ve compared it against the closest manual ISO. The above shot was taken with the the Sony Alpha NEX-7 using Hand-held Twilight mode.The camera automatically selected an exposure of 1/60 at f4 with a sensitivity of 1600 ISO and the original file measured 4.56MB. For the comparison, I switched to aperture priority mode and selected f4 at 1600 ISO and the camera metered the same 1/60 exposure. As we saw from the high ISO noise tests, 1600 ISO is the point at which the NEX-7 starts to exhibit quite visible and intrusive noise that affects medium sized image detail. You need to look quite closely at the first crop to see that the Hand-held Twilight crop is not only slightly warmer, but also displays more detail in the stone column than the Aperture Priority shot. Again in the second crop, it’s not glaringly obvious but close inspection reveals more detail in the flower heads as well as the wood panelling behind – you can clearly make out the horizontal grooves in the Hand-held Twilight crop but they’re almost obscured by noise in the Aperture Priority one. But it’s the final crop that most clearly demonstrates the Hand-held Twilight advantage. In the Aperture Priority crop the flat grey areas are grainy and speckled but the Hand-held Twilight crop is much smoother. The detail is also much clearer along the verticle boundary made by the white frame and along the horizontal edges of the shelf. Because it fires off six frames in quick succession, Hand-held Twilight mode can be a bit intrusive, but in terms of quality it gives clearly superior results in low light and I’d recommend you use it whenever possible. Now head over to my NEX-7 sample images to see some more real-life shots in a variety of conditions. To compare noise levels under real-life conditions I shot this scene with the Sony Alpha NEX-7, Sony Alpha NEX-5N and Canon EOS 60D within a few moments of each other using their best quality JPEG settings at each of their ISO sensitivity settings. The cameras were set to f5.6 in Aperture priority mode, the lenses were set to the same field of view and the ISO sensitivity was set manually. The above shot was taken with the the Sony Alpha NEX-7 with the lens set to 20mm (30mm equivalent) and the aperture set to f5.6 in Aperture priority mode. At its base sensitivity setting of 100 ISO the NEX-7 metered an exposure of 0.6 seconds. The NEX-5N metered the exact same exposure, as did the Canon EOS 60D. Both the NEX models struggled to autofocus in the dimly lit church so I used manually focus with peaking activated to focus on the area from which the crops are taken. 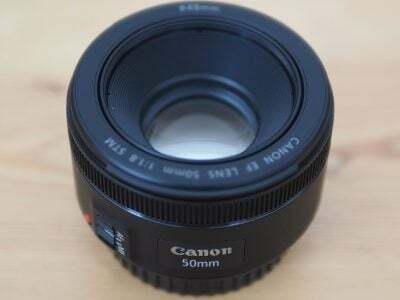 The EOS 60D managed to autofocus without a problem. The NEX-7 noise crops generally reflect what we saw in the outdoor test crops: the higher resoution 24.3 Megapixel sensor is, as you’d expect, more prone to noise than the 16.1 Megapixel sensor of the NEX-5N, but not as much as you might think. At the base 100 ISO setting there’s a slight graininess to the detail, but it’s neither intrusive, nor unpleasant. The interesting thing is what happens at the 200 and 400 ISO sensitivity settings. If the NEX-7’s sensor was performing on the edge of its capabilities in terms of signal to noise ratio, you’d expect the Sony engineers to have a real job on their hands to keep noise under control as the signal is amplified and the sensitivity increases. If they did, you wouldn’t know it from these crops, the 200 ISO crop is barely distinguishable from the 100 ISO one and even at 400 ISO, though the noise is a little more evident, this is an excellent result. In fact, right up to 800 ISO the NEX-7 does a first rate job of balancing effective noise reduction with retention of fine image detail. At 1600 ISO the noise is begining to get intrusive and the processing to minimise its effects is having a marked effect causing smearing of the fine to medium image detail. Even so, at 3200 ISO the result is still good enough to use at smaller sizes and even 6400 ISO is passable. At 12800 and 16000 ISO even at small sizes things look very bitty, but not many cameras wil let you shoot at full resolution at these high sensitivities, so it’s good to have them. You’ll get better results using the Handheld Twilight scene mode, which you can see on the next page. Compared with the NEX-5N the results from the NEX-7 hold up very well, particularly at the lower sensitivities. At 100, 200 and 400 ISO the NEX-7 is marginally noisier than the NEX-5N but you have to look very carefully at these 100 percent crops to spot it – that’s a very impressive achievment. At 800 ISO the quality starts to diverge first by a little, then an increasing amount – the 1600 ISO crop from the NEX-7 is much granier than the one from the NEX-5N and by 6400 ISO there’s a stop between them – the 5N 6400 ISO crop looks a lot like the 3200 ISO crop from the 7N. Another thing worth pointing out here is the level of detail in the lower sensitivity crops. Though the NEX-7 detail is larger, it’s no better resolved than the smaller detail in the 5N crops. Compared with the crops from the 18 Megapixel Canon EOS 60D the NEX-7 again holds its own. At the lower ISO sensitivities detail in the EOS 60D crops is softer but there’s little if any daylight between the two in terms of visible noise. In the middle to high ISO sensitivities though the NEX-7 gains the upper hand. At 400 ISO the 60D is marginally noisier and by 1600 ISO the difference is clear to see; it’s still not a massive difference, but it is significant. Given that both cameras share same-sized APS-C sensors, and the NEX-7 has a third more photosites than the EOS 60D you’d expect these results to be the other way around, so all the more credit to Sony for the NEX-7’s excellent low-light performance. In my final results page you can see the effect of shooting in low light with the NEX-7 Handheld Twilight mode. Or if you’ve seen enough, head over to my NEX-7 sample images to see some more real-life shots in a variety of conditions.